EcoGrid is the ideal product as a permeable, easy fit base system for all resin bound stone applications. We offer a complete solution – approved membranes, EcoGrid load bearing base, own-brand resin and a selection of aggregate blends. 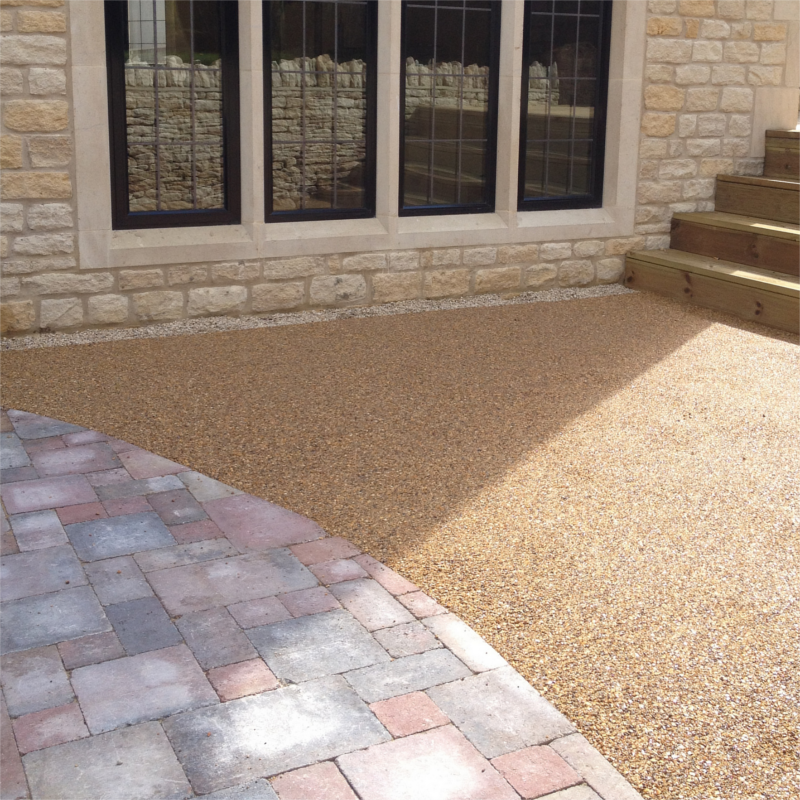 Resin bound stone is a new and effective way of providing a highly aesthetic surface for your home or business premises. It can be installed internally or externally to provide a surface that is both very robust and load bearing, but also fully permeable. This means that any water that hits the surface will freely drain through the resin bound topping and through the EcoGrid base system to naturally dissipate in to the water table. These types of surfaces have an obvious advantage in current times as they are free draining and therefore effectively add to flood risk prevention. A resin bound surface is SuDS compliant and requires no planning permission; an important fact with the newly introduced surface water regulations. In the past, resin bound stone was floated over a variety of sub-bases such as porous asphalt, tarmac or shredded rubber. While these are perfectly acceptable sub-bases, they are not very environmentally friendly, difficult to lay, very costly and require a high skill set to install. 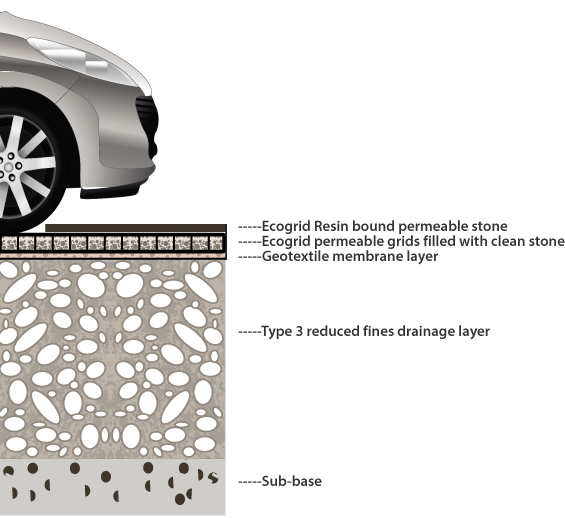 The EcoGrid system employs patented EcoGrid paving as the permeable, load bearing base. This is a product that is made from completely recycled materials and has a load bearing capability up to 800 tonnes per square metre. The grids carry a patented locking mechanism that is unique to this product and ensures that once the grid is locked in place, it stays in place. The grid system has a low surface area of exposed plastic, allowing a strong bond between the stone infill and the resin bound surface. 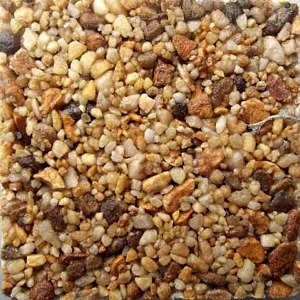 The most commonly sold aggregate blends that we offer here at EcoGrid. 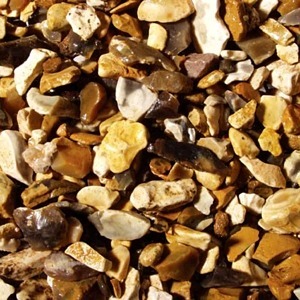 Our resin needs no activator and is stronger than most; you get a ratio of resin to aggregate of 7.5KG to 112 KG (4 x 25kg bags, 1 x 12.5kg bag silica) of dried aggregate. This ratio of resin to stone allows for more cost-effective installations, since up to 16% less aggregate is required for standard installations. 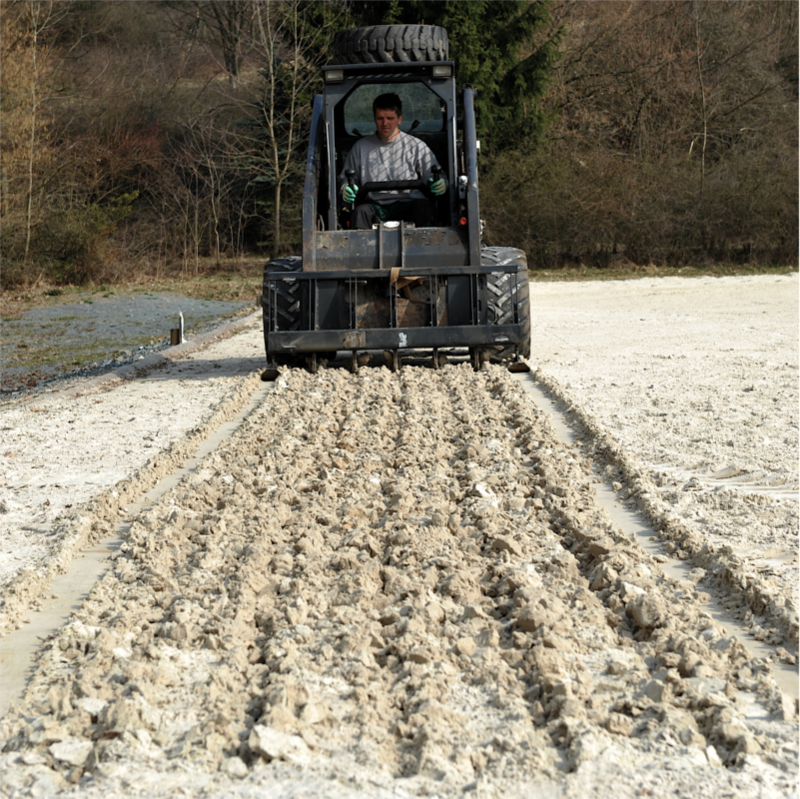 Excavation can be from as little as 180mm for standard vehicle domestic applications meaning that there are a number of inherent advantages: Less excavation therefore less waste to landfill and quicker preparation; Less requirement for hard-core; Swift installation of the entire base system at 100 metres per man per hour; No down time due to inclement weather as the base can be laid in the wet; No inconvenience to clients as the grids are immediately load bearing. 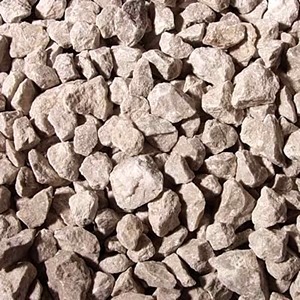 • A type 3 reduced fines or clean sharp angular stone hard-core base to ensure maximum permeability and strength is laid to required depths (generally 60-100mm for domestic driveways). • A membrane layer is laid on the top of the hard-core layer, this stabilises the ground, stops weed growth, stops the migration of the sub-base and acts as an important hydrocarbon filtration layer. • A thin (10-20mm) sharp sand or fine clean stone screed is laid on the membrane to ‘bed in’ the grids. • The grids are laid and curves are put in place with our unique Aluflex Aluminium curving unit as required. • The grids are filled with the same sharp angular stone as the screed layer. • The EcoGrid resin system is mixed in an industry standard force mixer and then floated over the top of the filled grid. Our resin is fully UV stable. 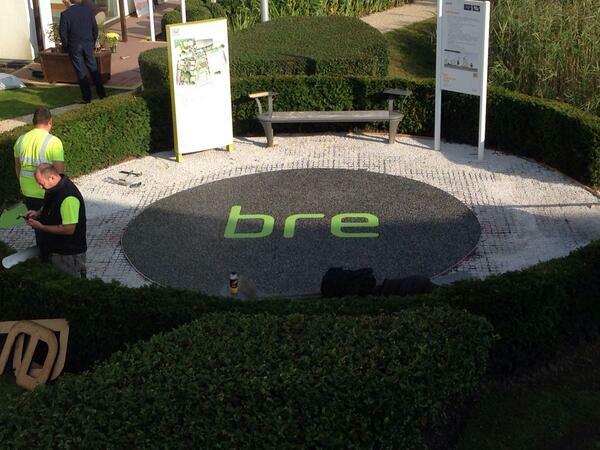 • Levels of depth of the resin bound system are maintained with the edge detail. The EcoGrid approved quality membrane, cut to size to suit your installation. Our own exclusive Aluflex Aluminium edging system in a variety of depths from 19mm to 150mm. EcoGrid aliphatic own brand resin in tubs of 7.5kg. EcoGrid exclusive aluminium chamber covers from 150mm square to 1000mm square and a variety of depths. 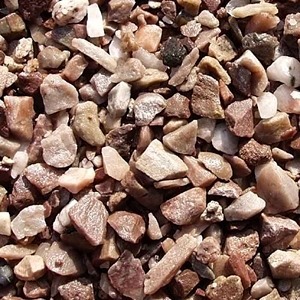 A range of bagged and washed aggregates from various suppliers. Customers can buy all the above or just products that they feel are not available elsewhere. We will give you a delivered price for all that you need and swiftly dispatch the goods direct to site. They come on a tail lift vehicle and by use of a pallet truck, carried to the site edge ready for use. Paving to domestic front gardens and driveways. Paving to all commercial scenarios. The objective here is to reduce flood risk and mitigate the effect of years of paving over what were naturally green areas with non-permeable surfaces. the rainwater flows to a lawn or border to drain naturally. If you cover more than five square metres using traditional materials that don’t let water through, you need planning permission. These rules apply to the area of land between the front walls of the house and the highway. This is classed as in curtilage. Over-lays to existing concrete or Tarmacadam surfacing even if the concrete/Tarmacadam has been drilled or altered in any way to make it ‘permeable’ unless the existing concrete did not fall to roadways or to existing house drains. Such alteration is prone to clogging with surface detritus. Any surfacing is found to fall to roadways or outside of the property. 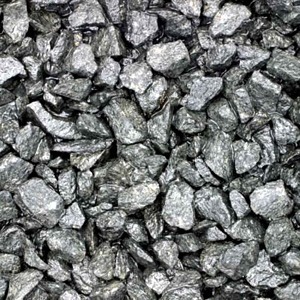 If any of the surface courses are not deemed permeable such as type 1 with a high fines content sub-base, open grade tarmacadam with too high a tar content which would inhibit permeability. Surface water can be directed away from traditional drainage points or falls to roadways by the use of attenuation systems, rainwater harvesting systems or infiltration systems. Known as soakaways in the past, usually formed from excavating a pit and filling with clean stone. Problem is that the void ratio was only 30%. Modern systems are formed with the use of crated soakaways wrapped with a geotextile fabric towards which surface falls are directed. Surface water enters the infiltration system via falls or channel drains and fills the system. Water dissipates over a non-specific period of time. This is similar to an infiltration system but the crate is wrapped with a non-permeable membrane. Flow out of the system is regulated by a flow control such as a vortex flow control device. E.G 30 litres per second. A system that consists of an underground or above ground tank. Rainwater is still attenuated but can also be used for various uses around the house such as garden watering, car washing, toilet flushing. I use another grid system, seems OK to me? Can I take one grid apart from the next one easily? If you can, they are unlikely to stay together when in situ. Is my grid system temperature compliant for resin bound stone? Materials like HDPE or mixed plastics expand at different rates to resin. 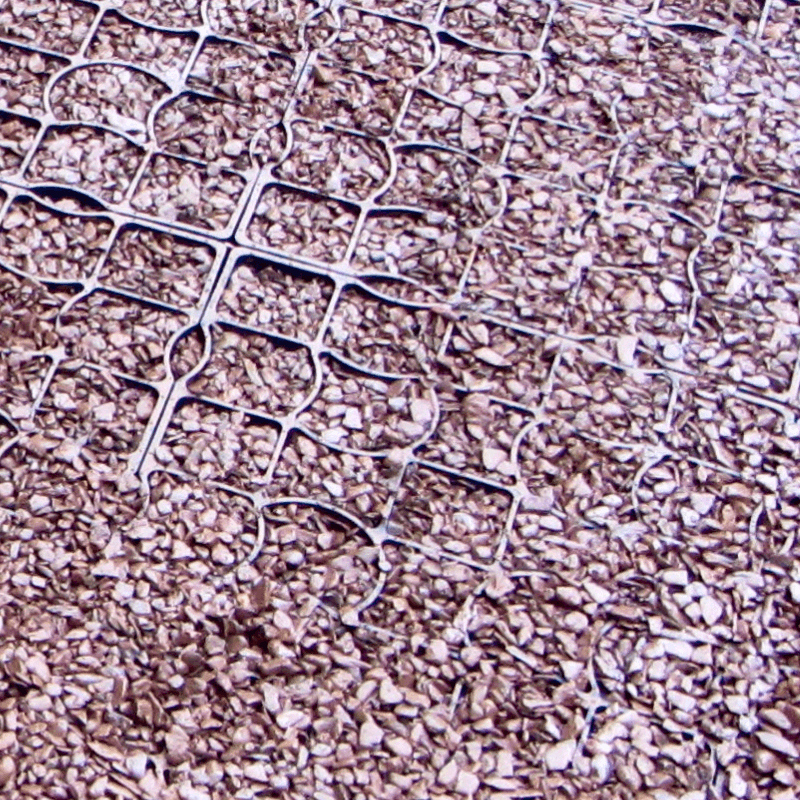 EcoGrid has been tested to expand at the same rate as resin. Is the grid system made from HDPE or a hard plastic? EcoGrid is made from specially selected LDPE which means it is flexible and strong. A hard plastic may crack and show through the resin bound surface. I don’t excavate anyway, I drill holes in existing tarmac to make it drain. Well, I suppose you can but this is not a permeable solution and is not acceptable under SuDS guidelines for planners. A permeable surface is one that is free draining from the top surface, right through all layers to the water table or excavation layer. There must be no run-off either to the roadway or to the household drains. These planning regulations came in to force in 2008 but have only been enforced in recent years because of flood risk prevention.